I was sitting on the floor waiting for my wife and daughter. 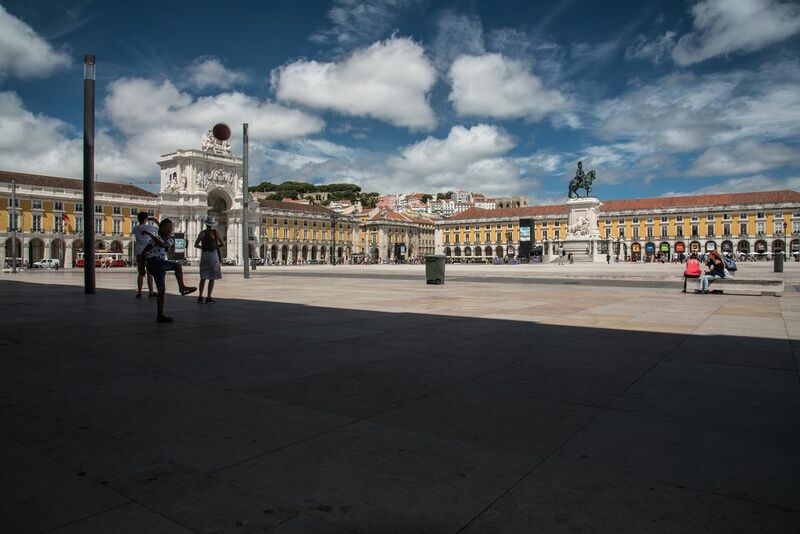 Meanwhile two children were playing football in the Praza do Comercio in Lisbon. They was backlit. I found a pretty picture. Date Uploaded: Nov. 5, 2016, 5:14 a.m.